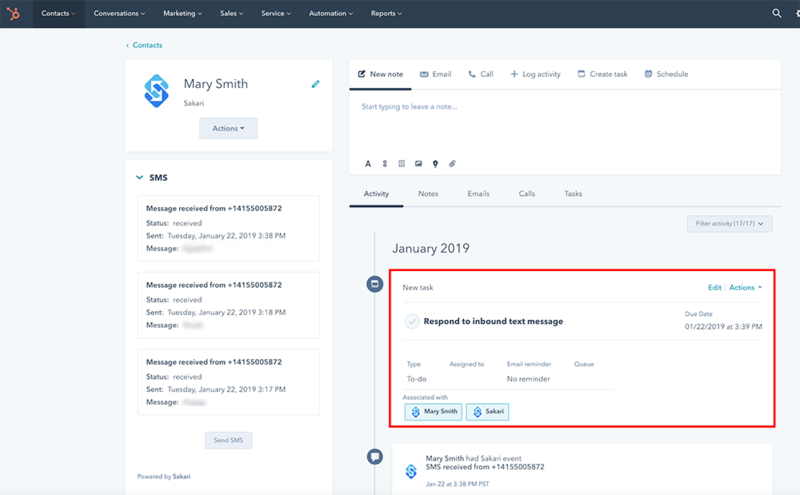 How to create a workflow in HubSpot that triggers a notification, task or text message when a message response is received. 3. 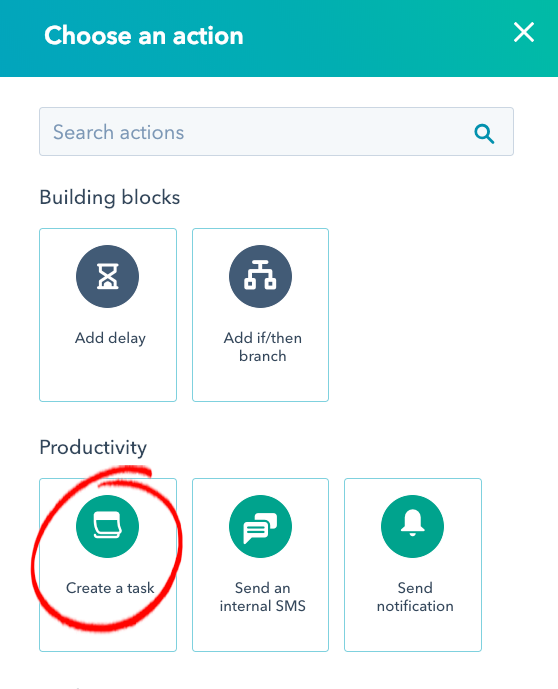 Click the "Create Workflow" button in the top right. 4. 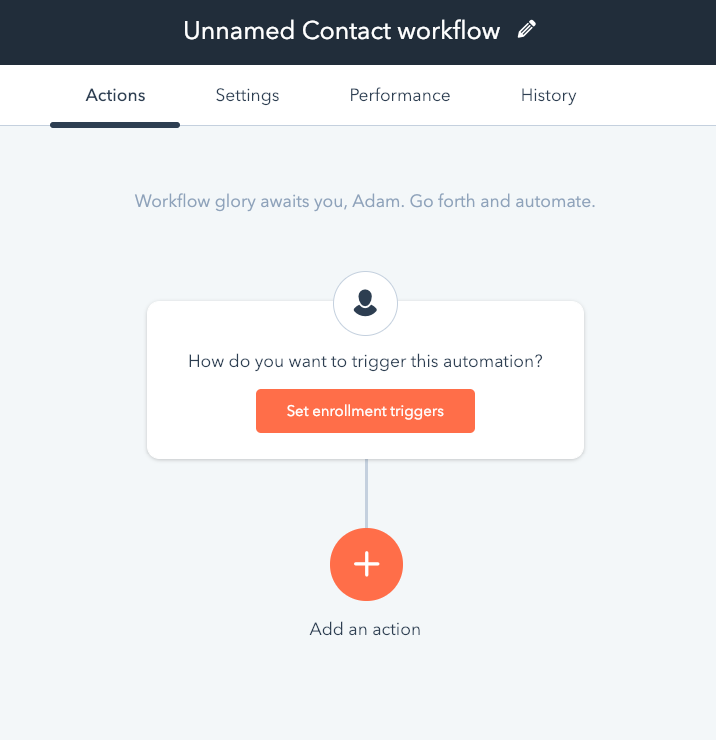 Select: Contact-Based > Start from Scratch. 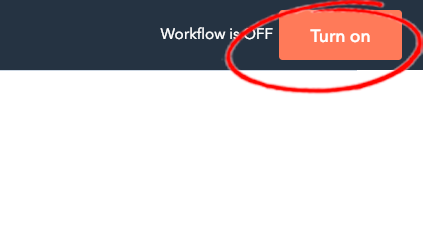 Click "Create Workflow" button. 5. 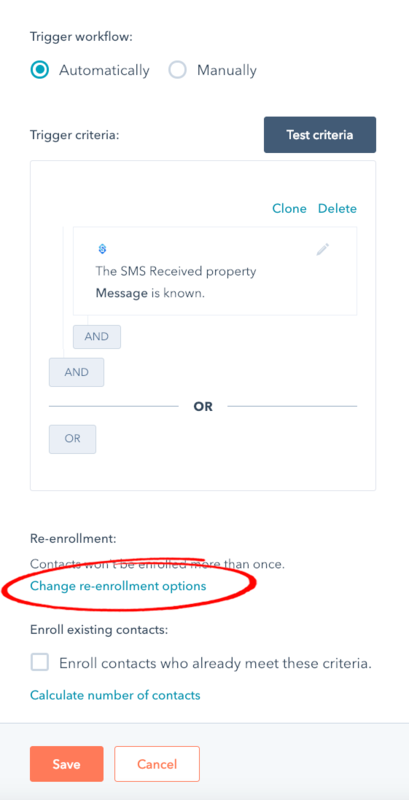 Click the "Set enrollment triggers" button. 6. 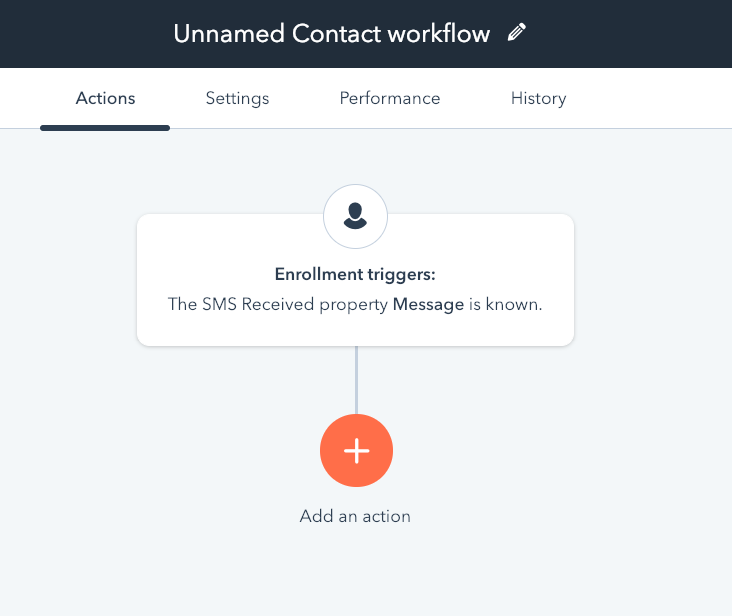 Select the "SMS Received property" enrollment trigger type. 7. 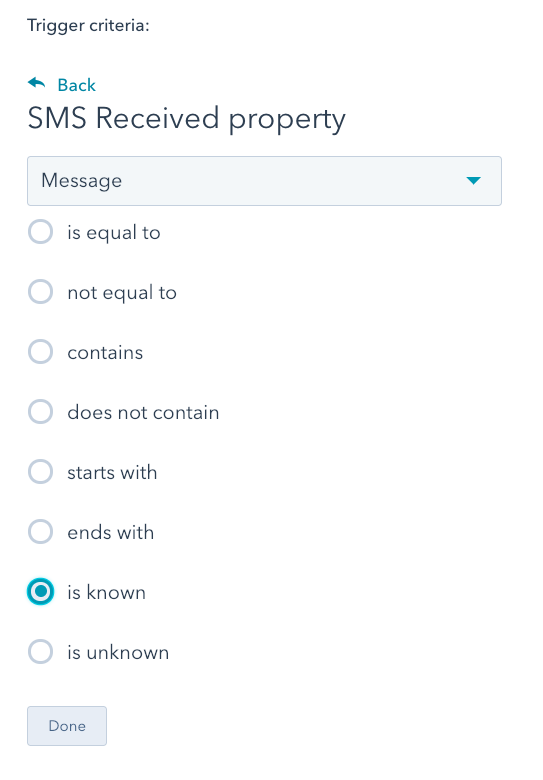 Select "Message" as the trigger criteria with a value of "Known." Click the "Done" button. 8. Click the "Change re-enrollment options" link. 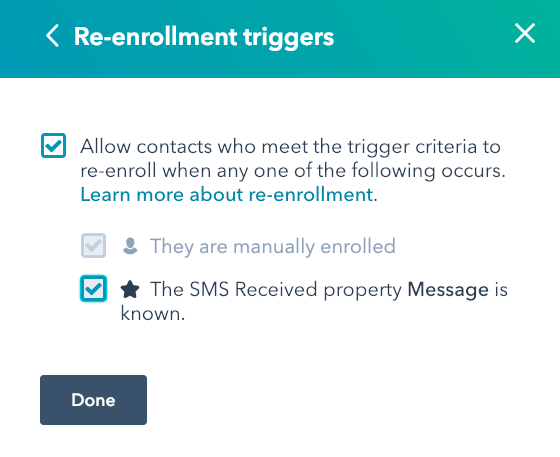 Allow contacts who meet the trigger criteria to re-enroll when any one of the following occurs. 11. Now you've completed your trigger, and you can select your available actions. Actions will completed when the trigger event occurs. Click the orange "Add an action" button. 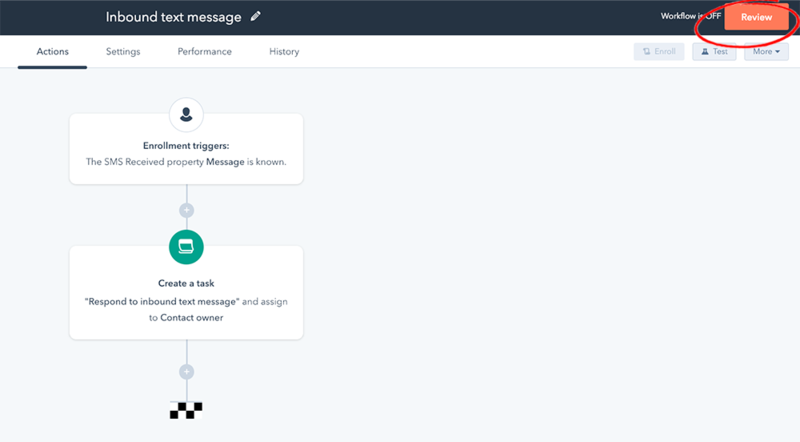 In this example, we're going to walk through the "Create a task" action. 14. Click the "pencil" icon to give your workflow a name. 15. Click the "Review" button in the top right. 16. Click the "Turn on" button in the top right. 17. 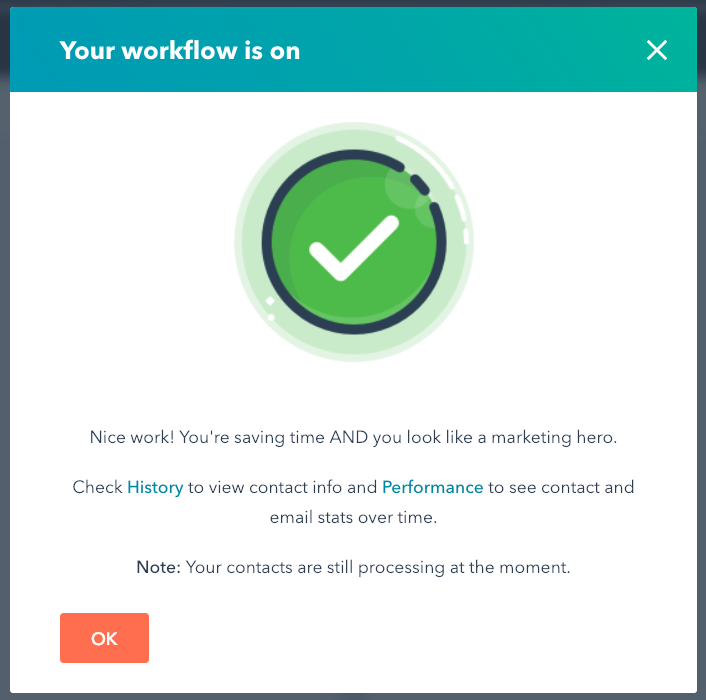 Click "OK" to confirm your workflow is on. 18. You're done! 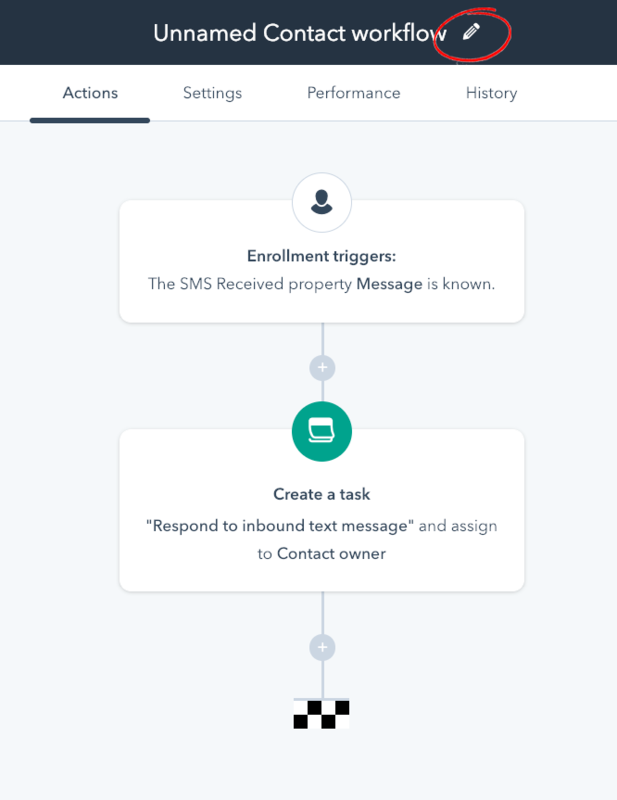 Now, whenever a text message response is received, a new task will be created for the contact owner requesting that they respond.